Photo #2: [MHY1] Can You Help? Photo #3: [MOD3] An unidentified event in Sowerby Bridge. Photo #4: [AKK13] Can You Help? 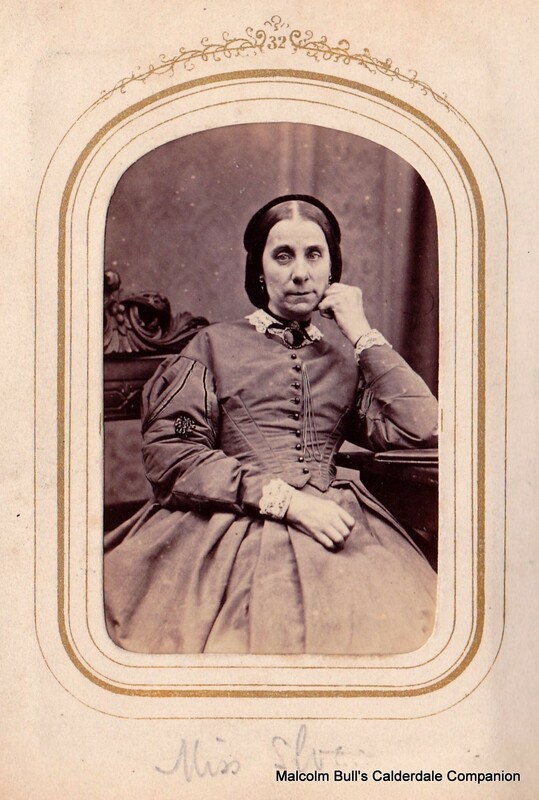 Photo #6: [LA11] Photograph of an unknown lady by Sandford of Halifax. Photo #8: [LA9] Does anyone know anything about E. Pickles , Captain of Brighouse Rangers ? 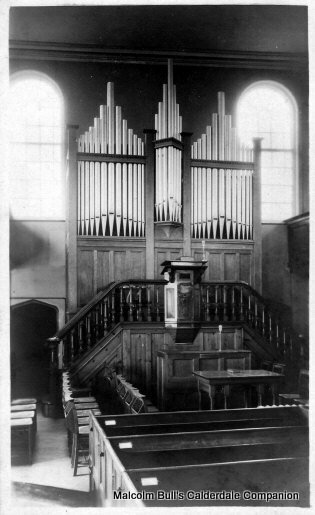 Photo #10: [SDV43] Can anyone confirm that this is the organ at Warley Congregational Church ? 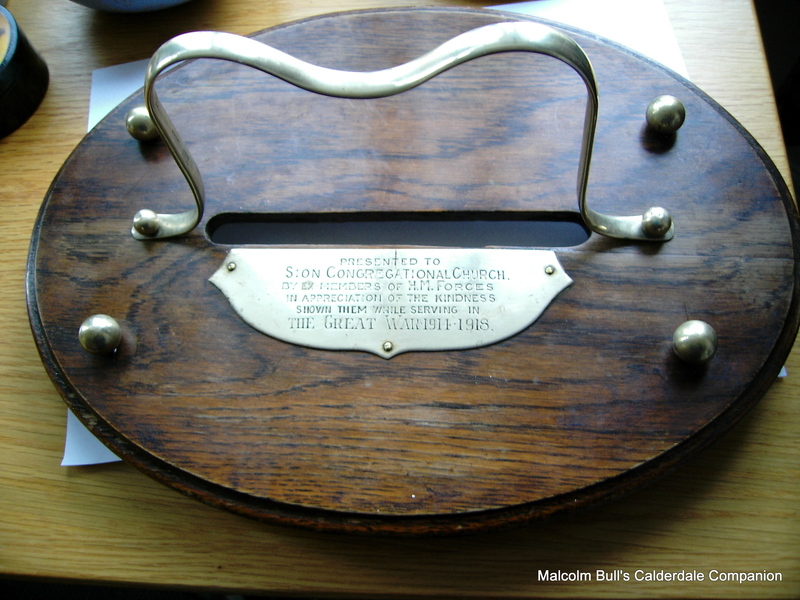 Photo #12: [JBS1] An unidentified object presented to Sion Congregational Church . Photo #15: [MB1526] Can you identify this house in Soyland? 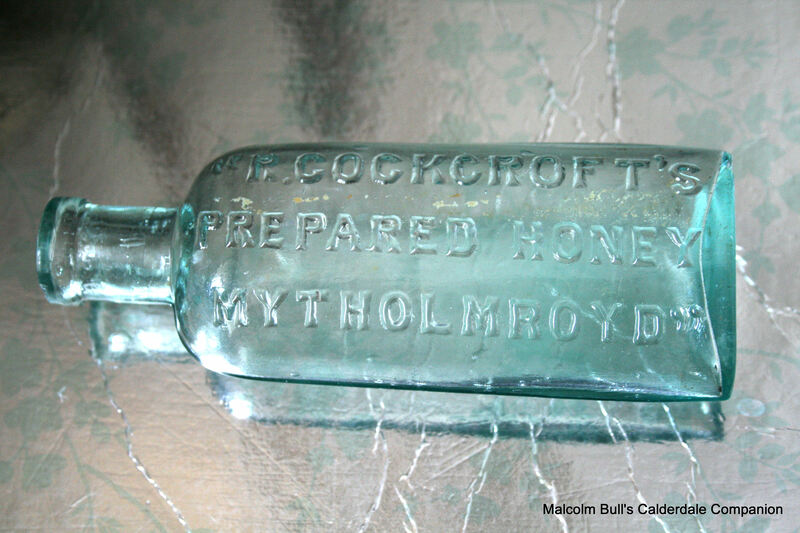 Photo #16: [JA6] Could it be Richard Cockcroft of Mytholmroyd who used bottles such as this for his prepared honey? Photo #17: [SNL11] Can You Help? 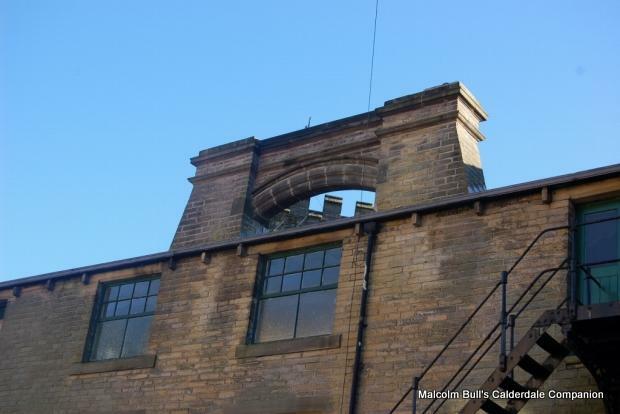 Photo #18: [DWV1] Does anyone recognise this building which stands opposite the Queens Hotel in Todmorden? Photo #31: [DG2222] Can anyone tell me anything about the business or the Crossleys? Photo #33: [JGN1] Can anyone identify this group of local harriers – possibly of Hipperholme or Halifax – or the pub? Photo #34: [KSD1] Can anyone identify the location? 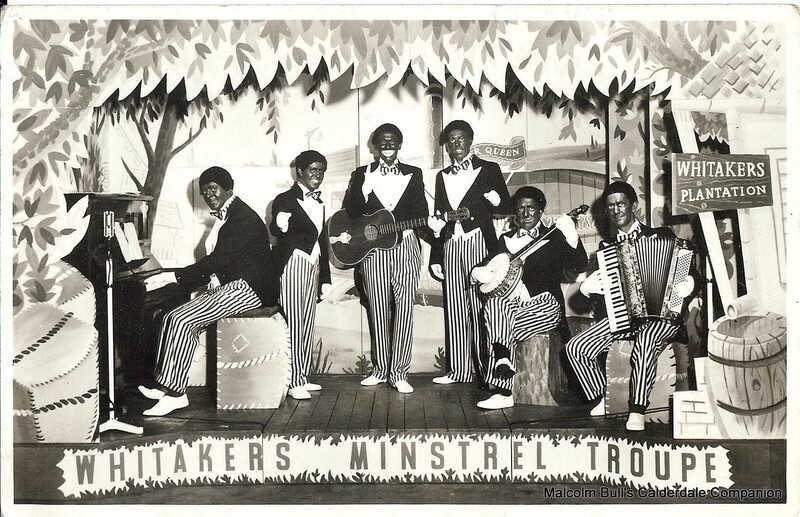 Photo #35: [KW3] A postcard promoting Whitaker's Minstrels. Photo #36: [NCA1] A portrait of John Shillito commissioned by the Co-Operative Wholesale Society in 1995. Photo #38: [MB1646] Does anyone know anything about this building which stands on Towngate, Hipperholme ? 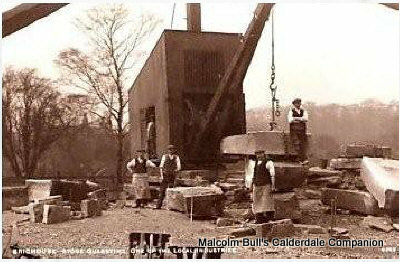 Photo #40: [DG2061] Can anyone identify these buildings which are being demolished (possibly) in the Carlton House area of Hebden Bridge? 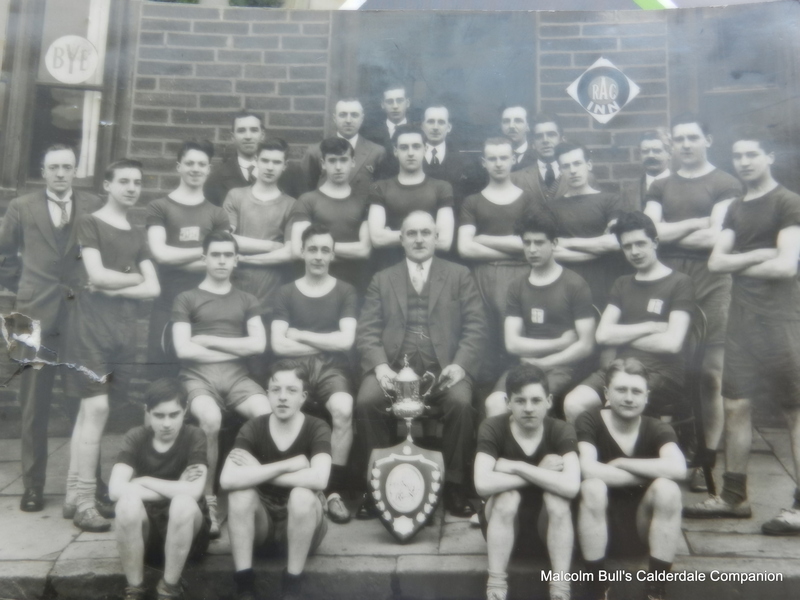 Photo #43: [AAP11] Possibly taken in Calderdale but does anyone know what or where? Photo #44: [DG108] Can you identify this Brighouse Quarry? 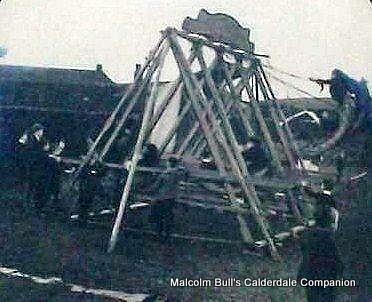 Photo #45: [DG145] This is believed to have been taken at Brink Top Farm, Mytholmroyd . 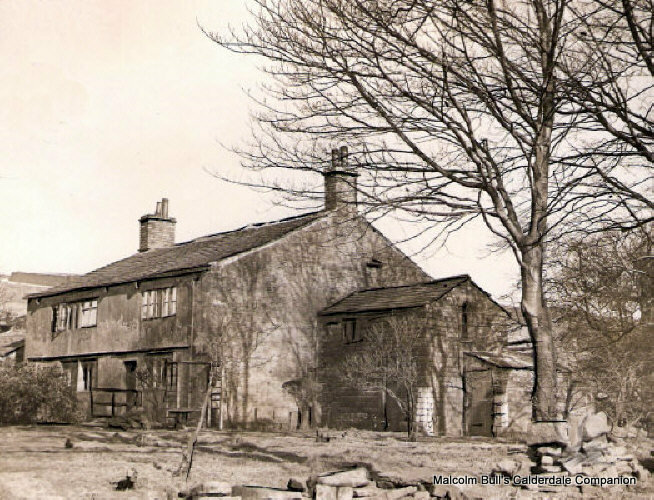 Photo #46: [DG146] This is believed to have been taken at Brink Top Farm, Mytholmroyd . Photo #48: [DG572] The top of a large stone bottle produced by W. York & Company . Photo #50: [DG611] A photograph to mark the occasion when the trams gave way to buses in Halifax. Photo #51: [DG734] A photograph with the simple caption Southowram Quarry. 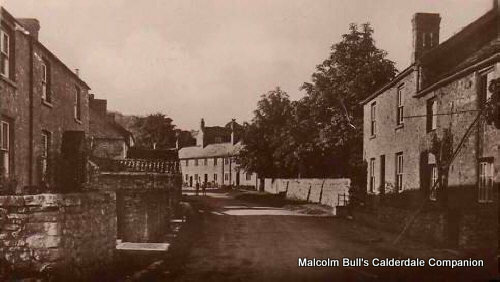 Photo #53: [DG903] Can you identify the location for this Lilywhite photograph which is entitled The Village Well? Photo #54: [DG1511] Can you identify the subject of this photograph which is captioned Stainland or Barkisland Village Fair? Photo #55: [DG1604] A photograph of the Barber's Tent produced by Walter M. Hilton . 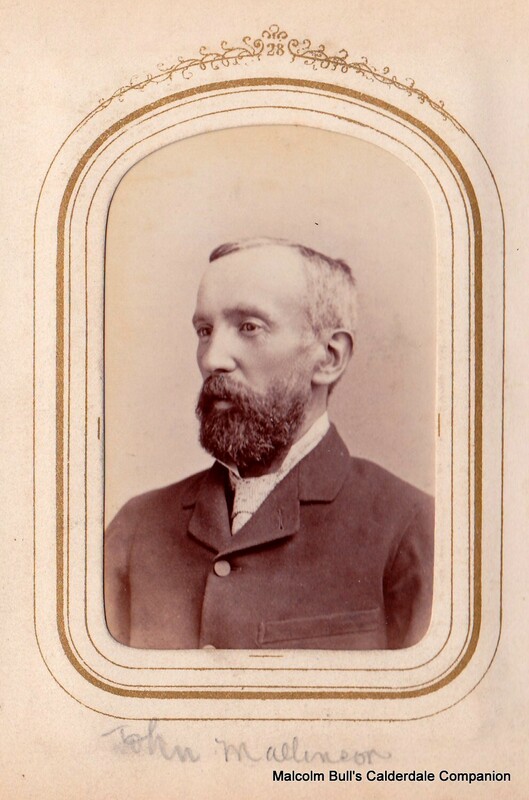 Photo #56: [DG1667] The name Milner Priestley is associated with this photo. Photo #61: [DG1831] Can anyone identify the location? Photo #63: [DG1855] This photograph is taken somewhere in Luddendenfoot. Does anyone recognise the property? 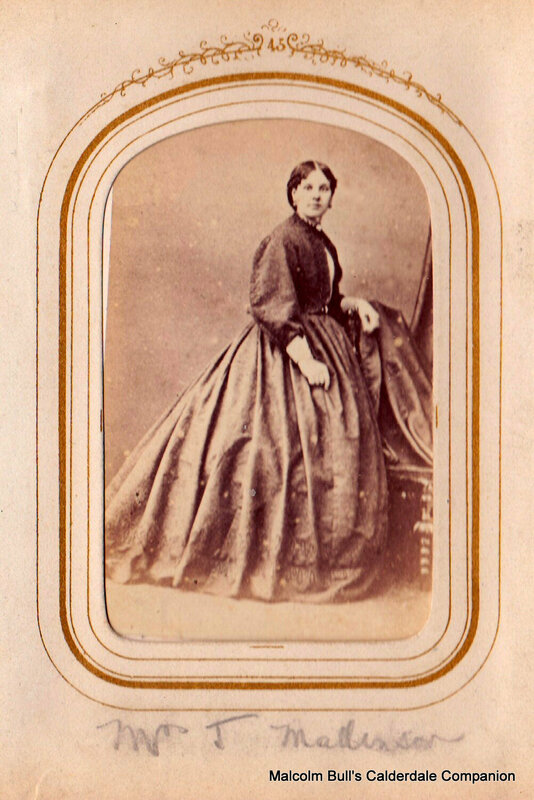 Photo #65: [DSM31] A photograph by C. W. Greaves & Company . Photo #66: [DSM32] A photograph by Sanford . Can anyone identify the soldiers in the photograph, or the occasion? Photo #67: [DSM33] Can anyone confirm that this is the stone-laying ceremony for a church in Halifax? ... or the name of the church? Photo #68: [DSM35] A photograph by Francis E. Jackson . Can anyone identify the church? ... or the young girl? 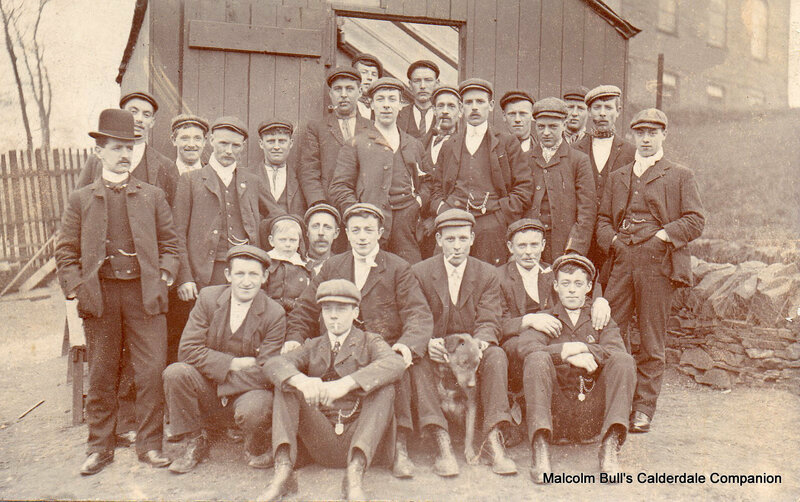 Photo #69: [EH2] A group of men at an unidentified location. 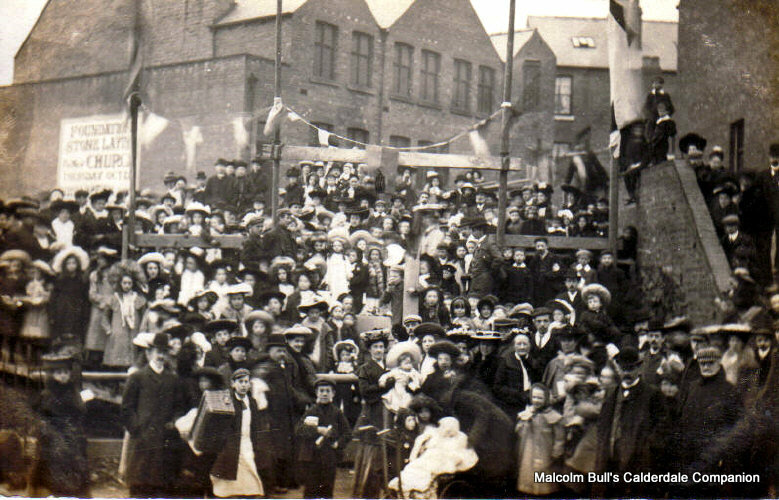 Photo #70: [GY256] A group of men marching down Silver Street from Cow Green. 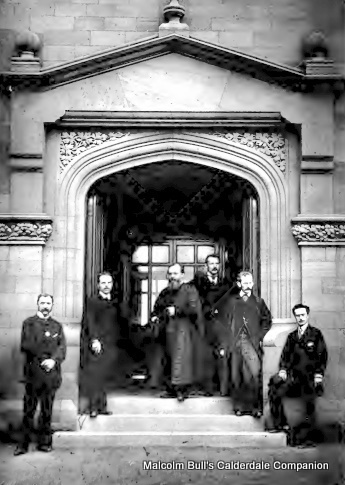 Photo #71: [MB1150] The staff of Heath Grammar School . 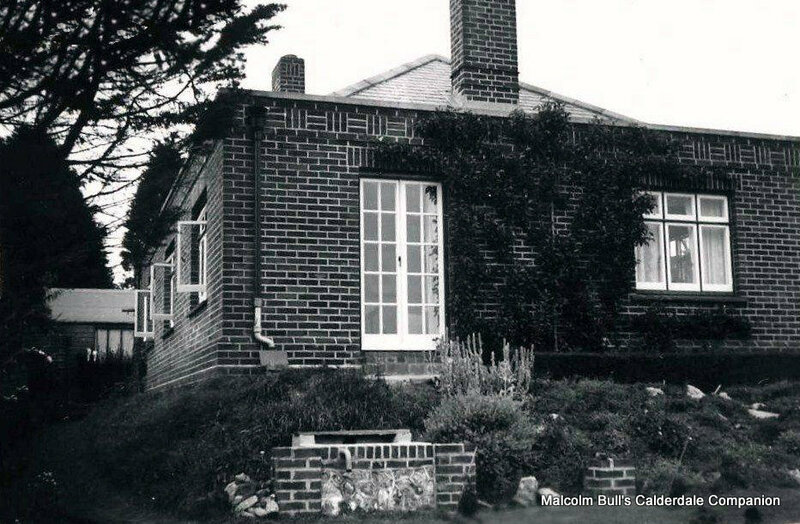 Photo #72: [MH207] Can you identify this house or the location? Photo #73: [PH1] Where and when was the photograph taken? It may be Brighouse. Why are the men (and the boy in the garden) wearing masks? Does anyone know anything about the man? 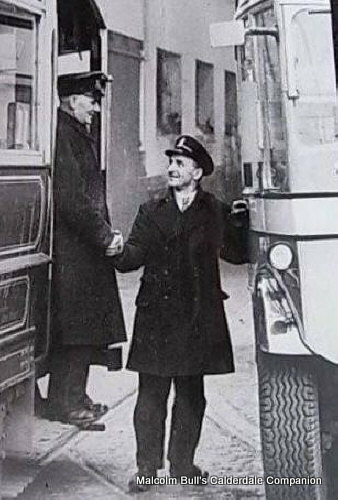 Can anyone hazard a guess as to the date the photo was taken? [Ref: MOD3] An unidentified event in Sowerby Bridge. 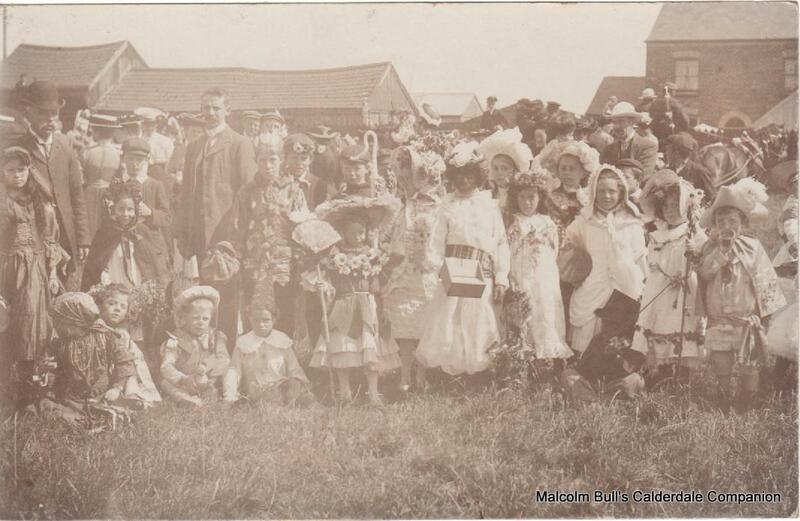 [Ref: AKK13] A group of children at Booth Wood, Rishworth. They were possibly Sunday School scholars. If so, where was their School? Could they be connected to the tin tabernacle at Rishworth? 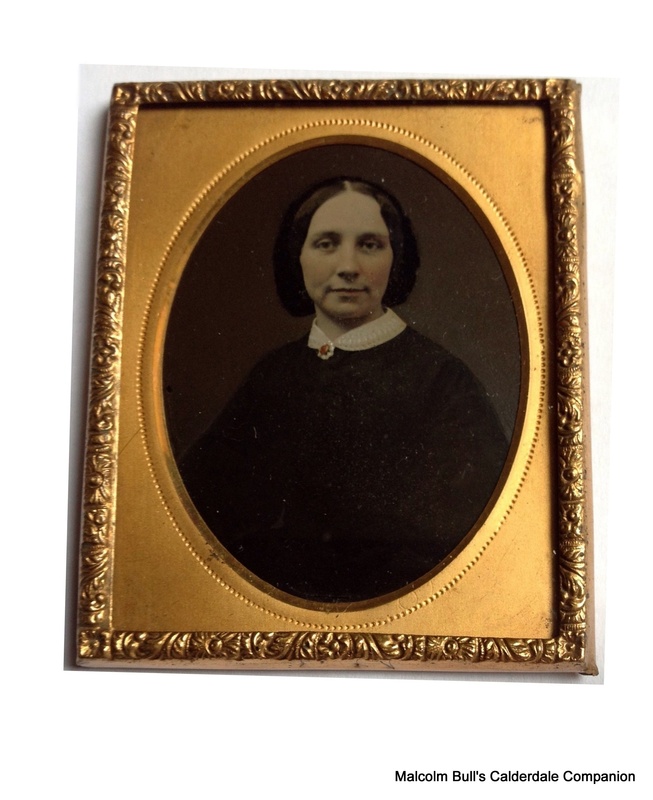 [Ref: DG2281] A photograph of an unidentified lady found amongst the Greaves family papers. 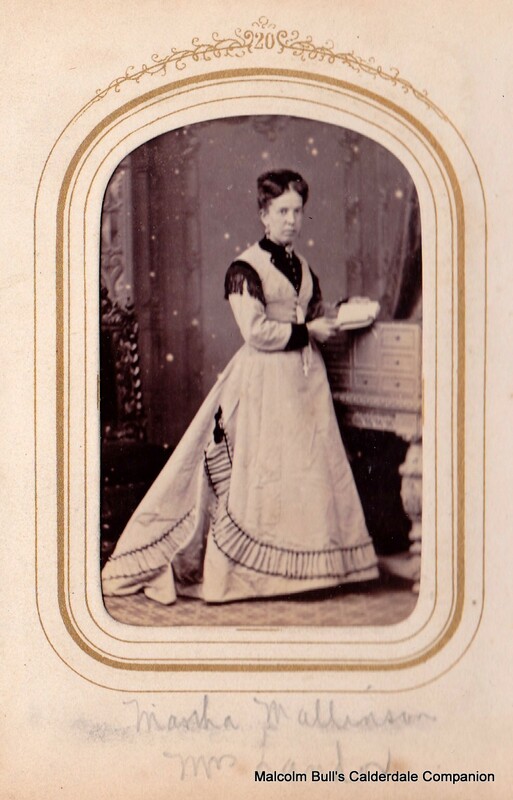 [Ref: LA11] Photograph of an unknown lady by Sandford of Halifax. 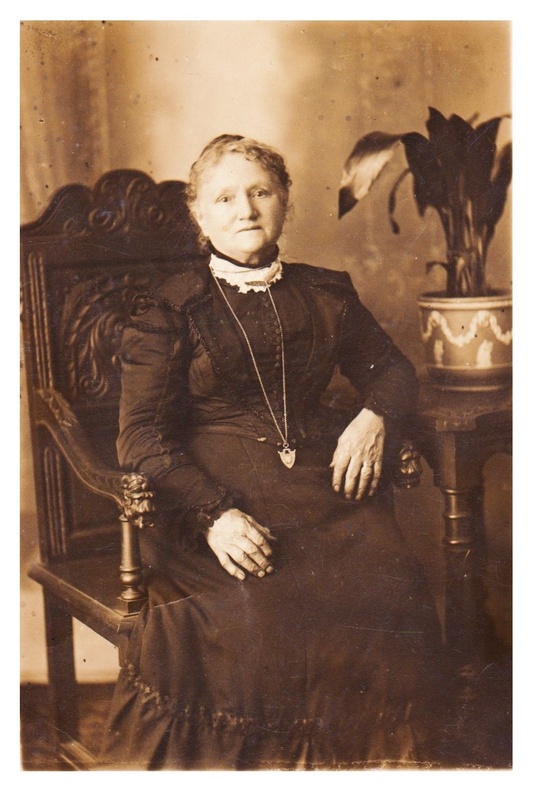 Can anyone identify the lady? 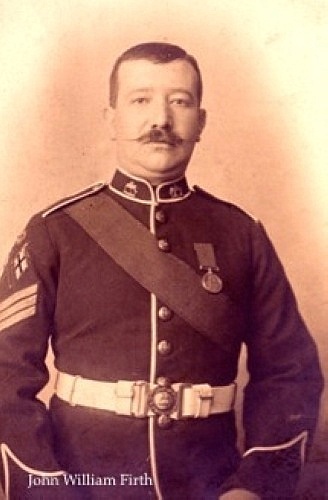 [Ref: LA9] Does anyone know anything about E. Pickles, Captain of Brighouse Rangers? 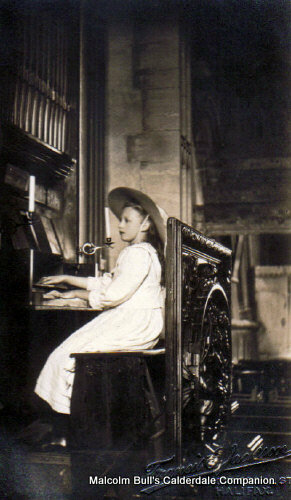 [Ref: SDV43] Can anyone confirm that this is the organ at Warley Congregational Church? Does anyone know anything about the company? Were they brewers or landlords? [Ref: JBS1] An unidentified object presented to Sion Congregational Church. It measures 12 inches by 9 inches, and has 4 wooden balls as feet. Does it refer to Sion Congregational Church in Halifax ... or some other place? 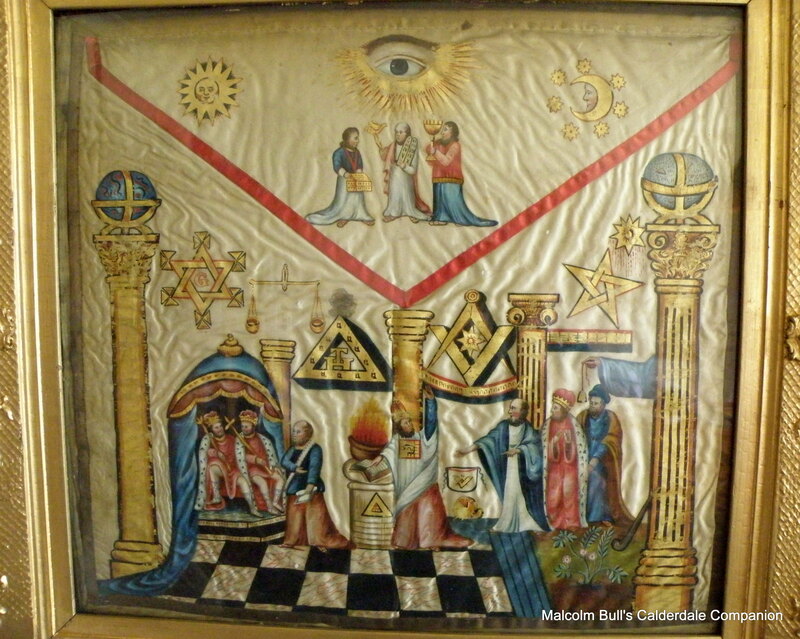 Why might it have been given to the Church? Back Row: (1) Unidentified; (2) Unidentified; (3) Unidentified; (4) Unidentified; (5) Unidentified; (6) Unidentified; (7) Unidentified. 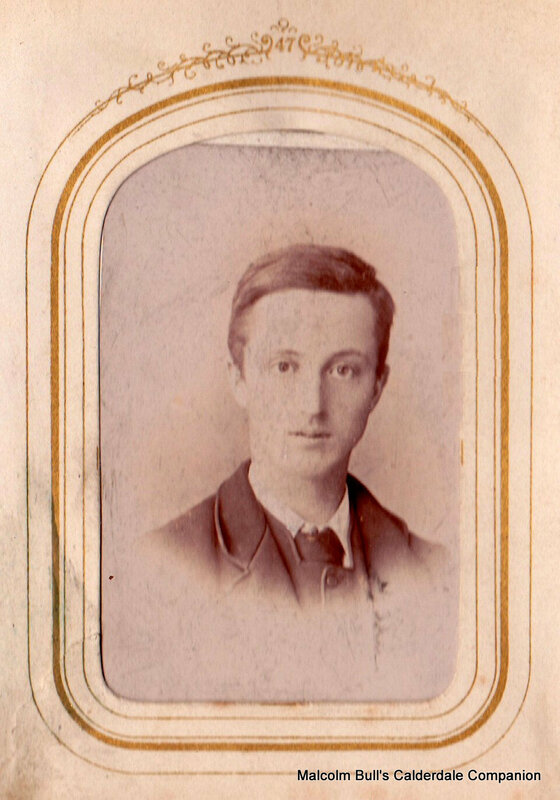 Front Row: (1) Unidentified; (2) Claude Longbottom; (3) Unidentified; (4) Unidentified; (5) Unidentified; (6) Unidentified. 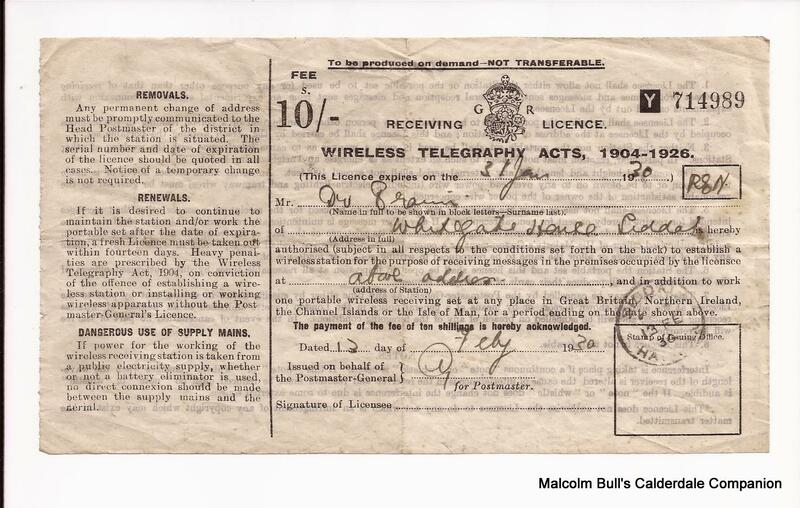 [Ref: JCW1] A licence to establish a wireless station at Whitegate House, Siddal. Can anyone identify the licensee? 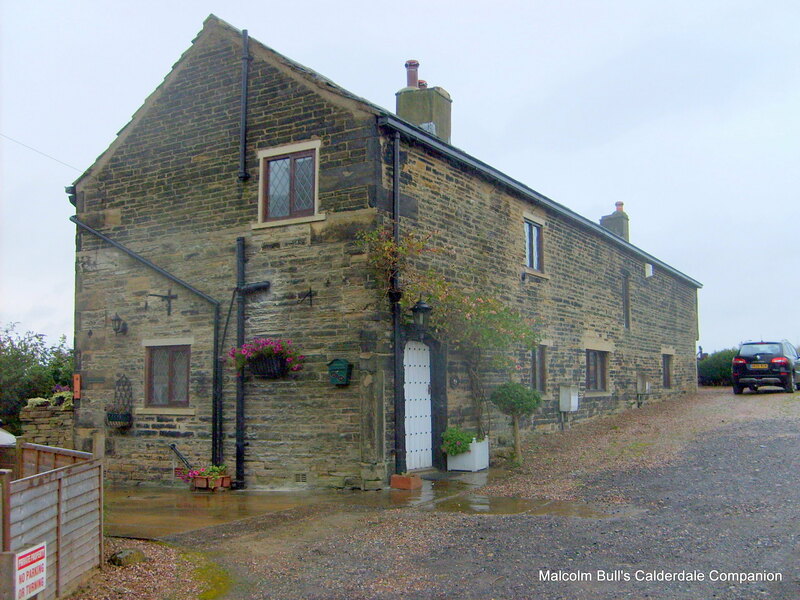 [Ref: MB1526] Can you identify this house in Soyland? 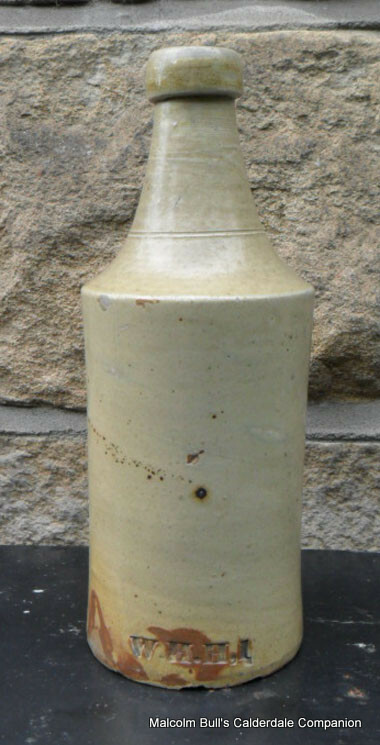 [Ref: JA6] Could it be Richard Cockcroft of Mytholmroyd who used bottles such as this for his prepared honey? 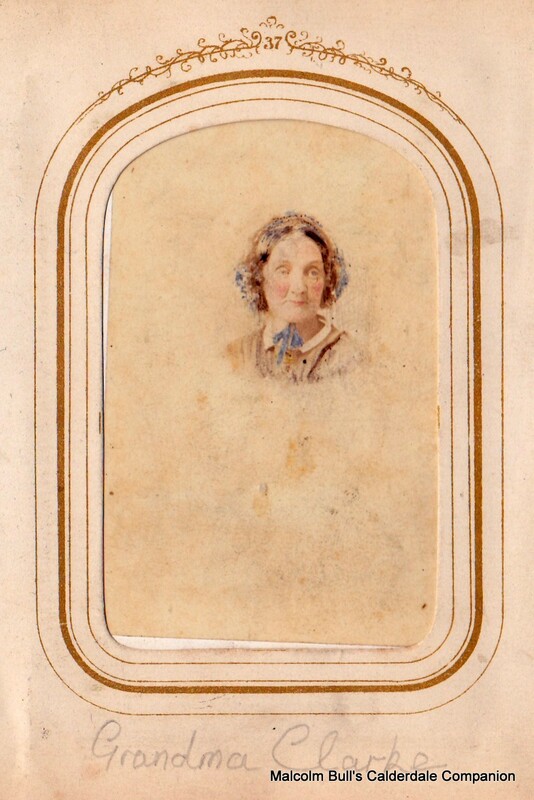 Can you identify the artist? 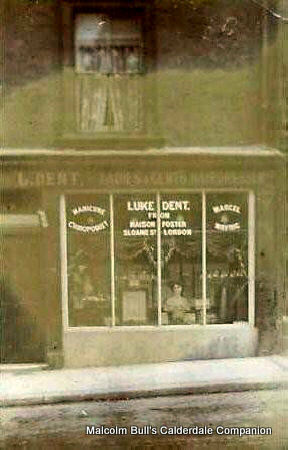 [Ref: DWV1] Does anyone recognise this building which stands opposite the Queens Hotel in Todmorden? [Ref: DG2222] Can anyone tell me anything about the business or the Crossleys? 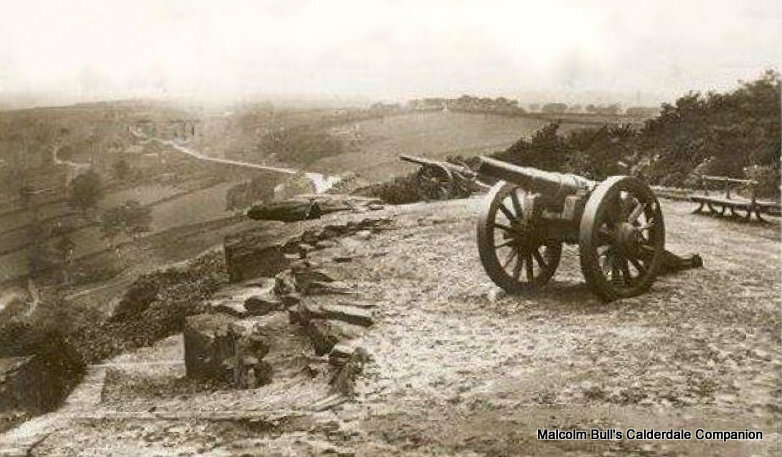 [Ref: DG2179] A postcard with the caption Cannon at Wheatley Valley - (probably) the Boer War cannon which stood on the lookout area at Shroggs Park in the 1930s. Does anyone know anything more about the cannon? 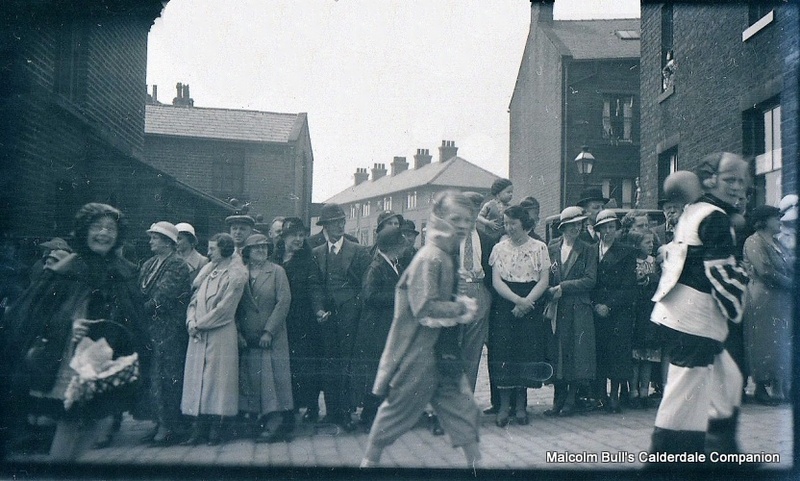 [Ref: JGN1] Can anyone identify this group of local harriers – possibly of Hipperholme or Halifax – or the pub? [Ref: KSD1] Can anyone identify the location? 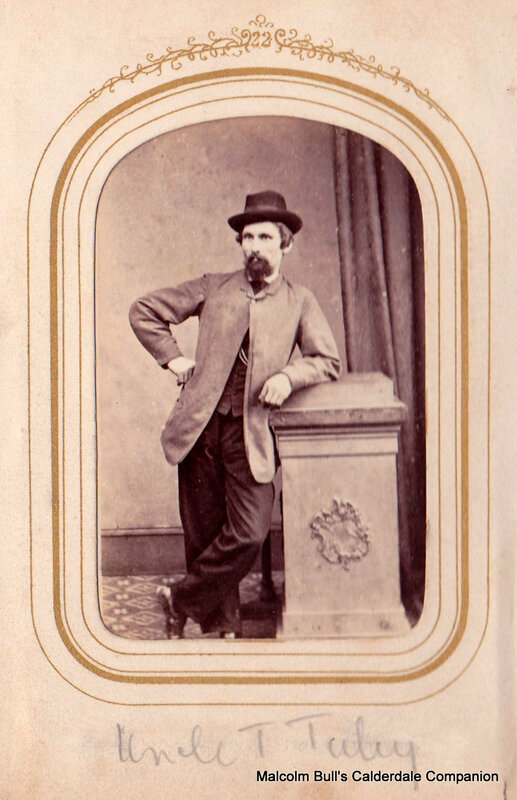 [Ref: KW3] A postcard promoting Whitaker's Minstrels. 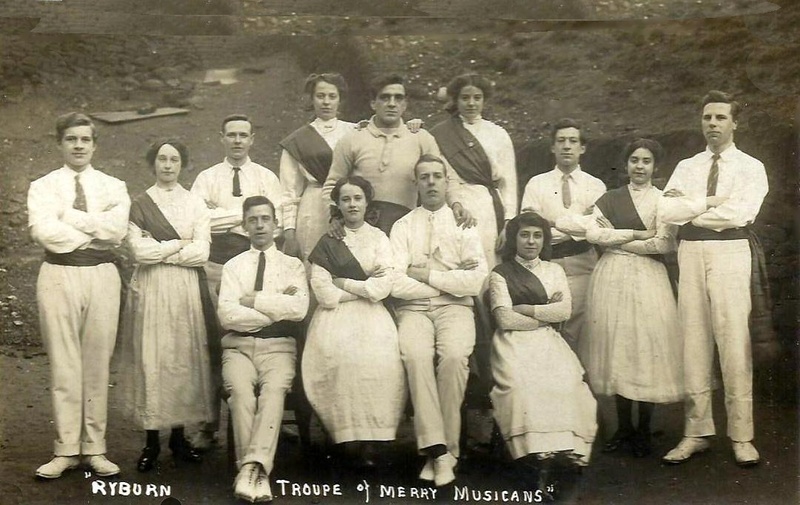 Does anyone know whether this troupe was connected to Richard Whitaker & Sons? 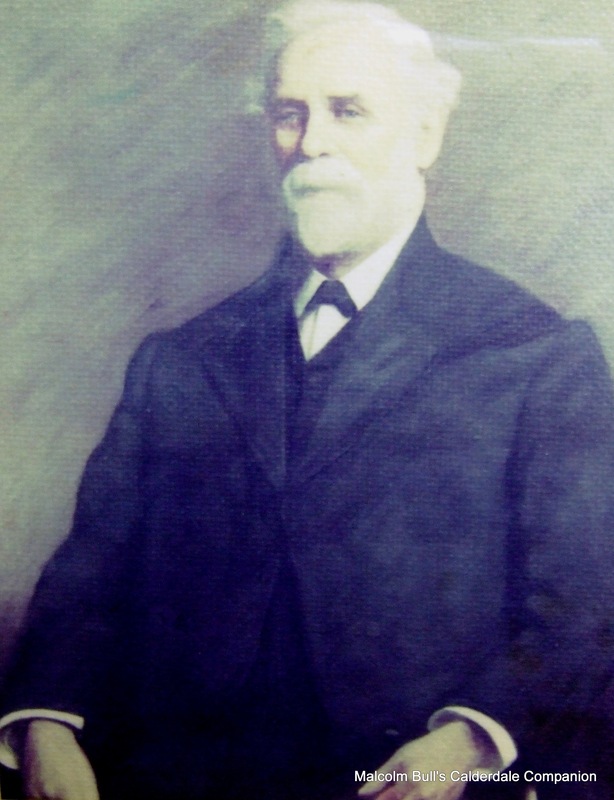 [Ref: NCA1] A portrait of John Shillito commissioned by the Co-Operative Wholesale Society in 1995. Question: Does anyone know the name of the artist? 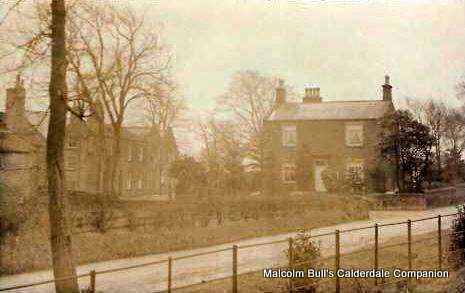 [Ref: MB1646] Does anyone know anything about this building which stands on Towngate, Hipperholme? Could that be Birks Hall on the right? 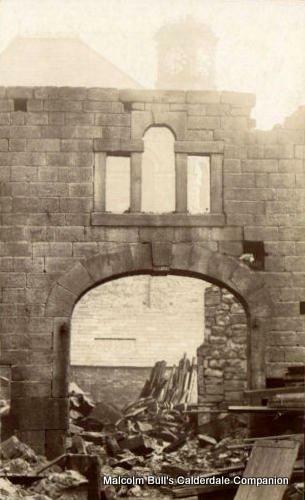 [Ref: DG2061] Can anyone identify these buildings which are being demolished (possibly) in the Carlton House area of Hebden Bridge? Can anyone throw any light on the bottler? 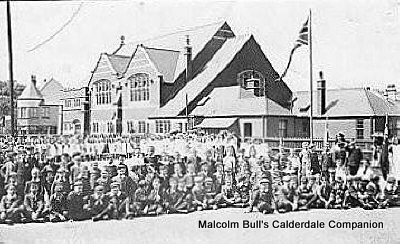 [Ref: AAP11] Possibly taken in Calderdale but does anyone know what or where? 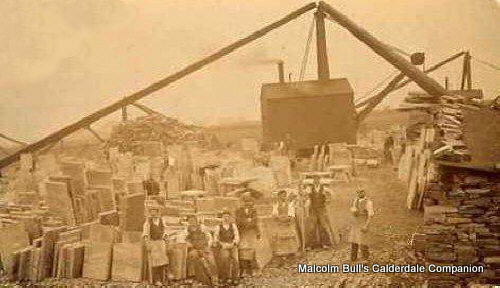 [Ref: DG108] Can you identify this Brighouse Quarry? 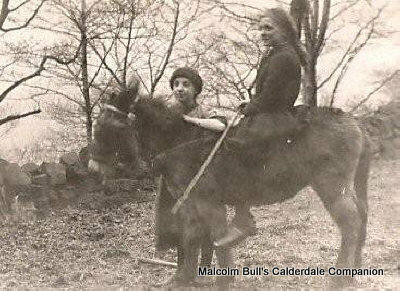 [Ref: DG145] This is believed to have been taken at Brink Top Farm, Mytholmroyd. 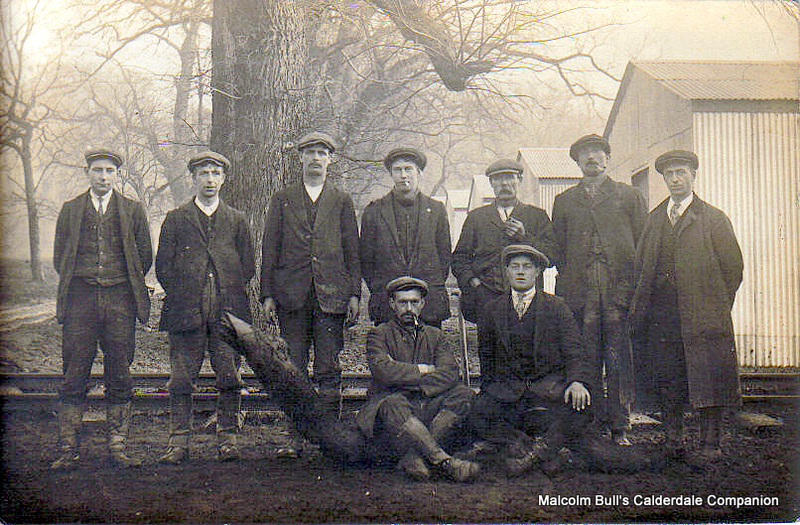 Can you confirm that it is indeed Brink Top Farm or can you identify any of the people in the photo? 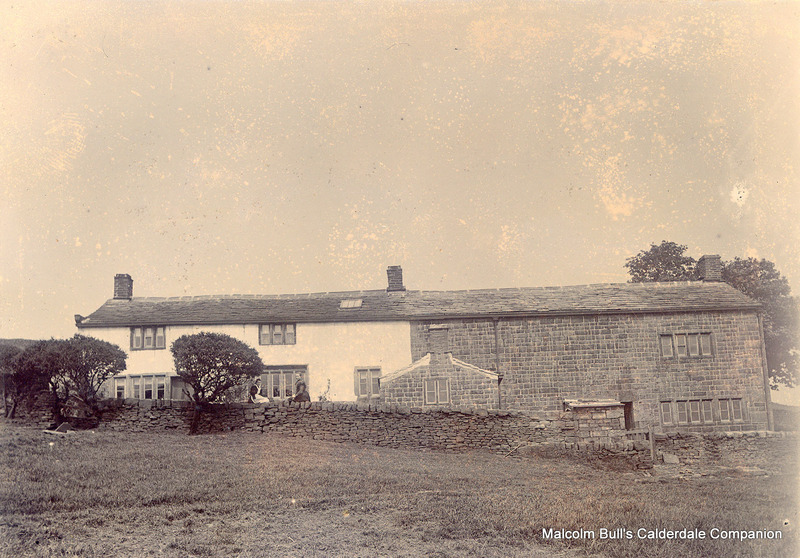 [Ref: DG146] This is believed to have been taken at Brink Top Farm, Mytholmroyd. 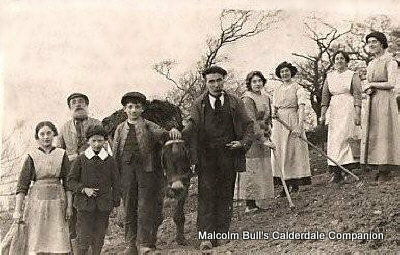 Can you confirm that it is indeed Brink Top Farm or can you identify any of the people with the donkey? 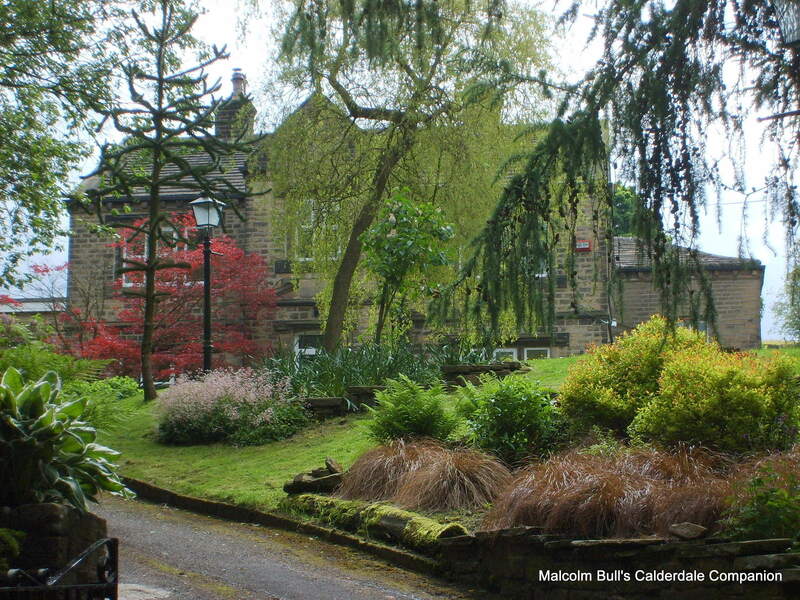 Do you recognise the school? [Ref: DG572] The top of a large stone bottle produced by W. York & Company. Please email me if you can tell me anything about Mr York or about the company. What did they do? Brewers? Bottlers? 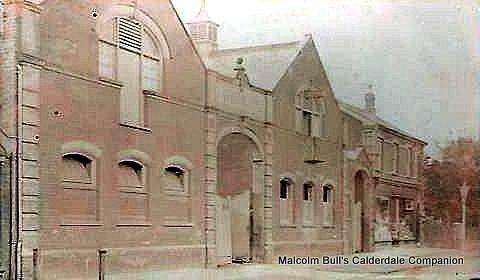 Can anyone confirm that this is indeed Oxford Lane, Siddal? 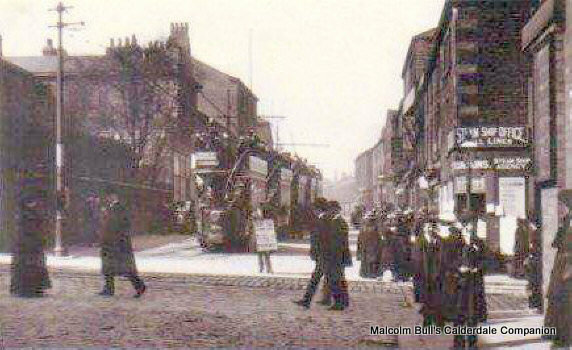 [Ref: DG611] A photograph to mark the occasion when the trams gave way to buses in Halifax. [Ref: DG734] A photograph with the simple caption Southowram Quarry. Can anyone identify the group? Light opera / Amateur dramatics? 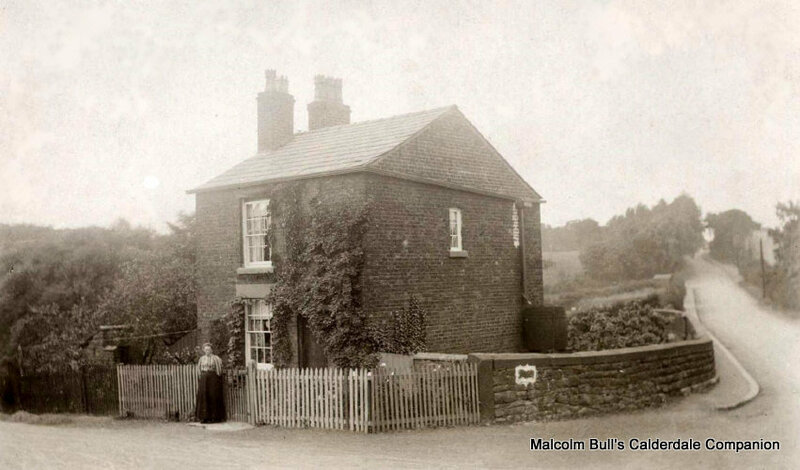 [Ref: DG903] Can you identify the location for this Lilywhite photograph which is entitled The Village Well? 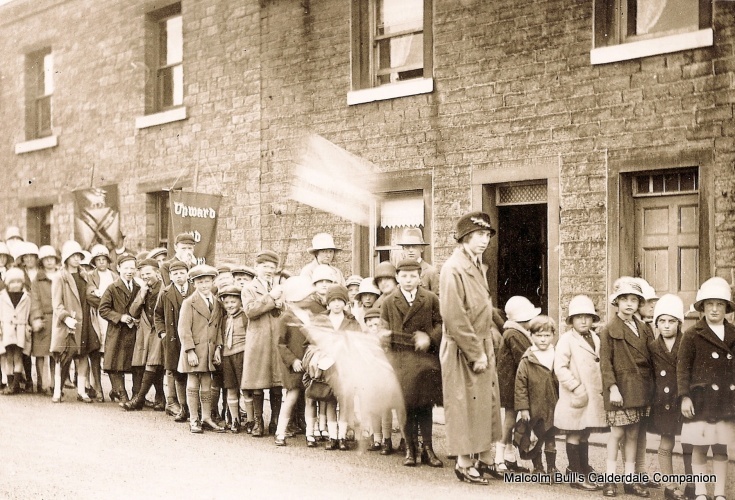 [Ref: DG1511] Can you identify the subject of this photograph which is captioned Stainland or Barkisland Village Fair? 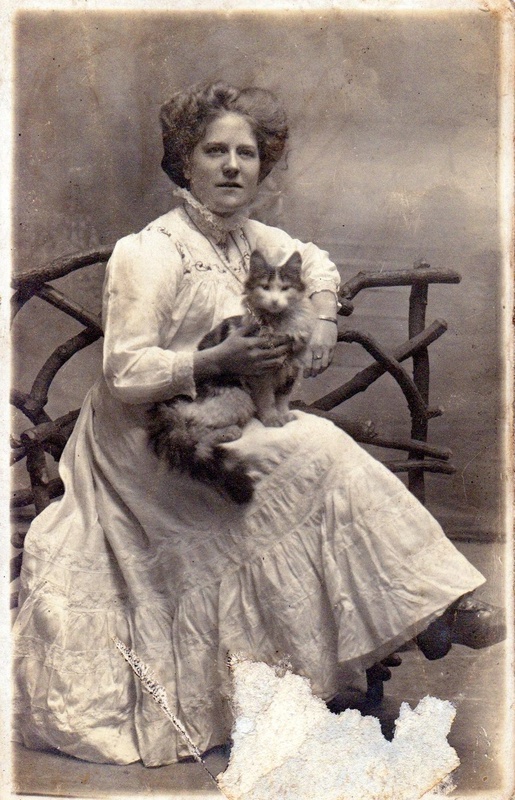 believe that the photograph could be at Nont Sarah's Pub at Outlane. 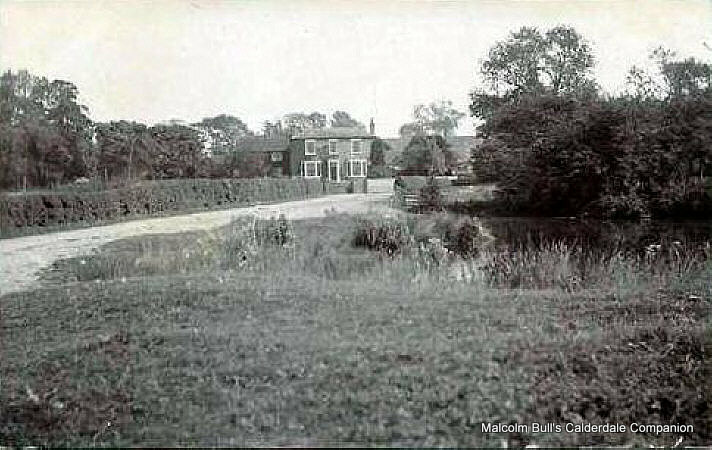 It has also been suggested that it may be Bilberry Hall pleasure grounds. [Ref: DG1604] A photograph of the Barber's Tent produced by Walter M. Hilton. 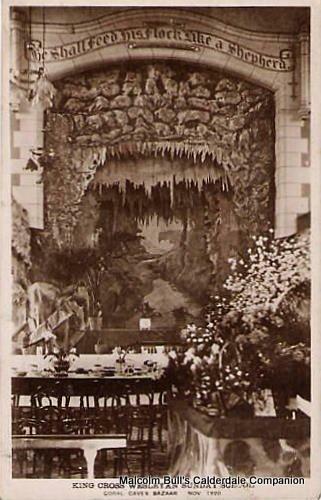 Can anyone suggest where this might be? Could it be at a camp such as Dawson City? 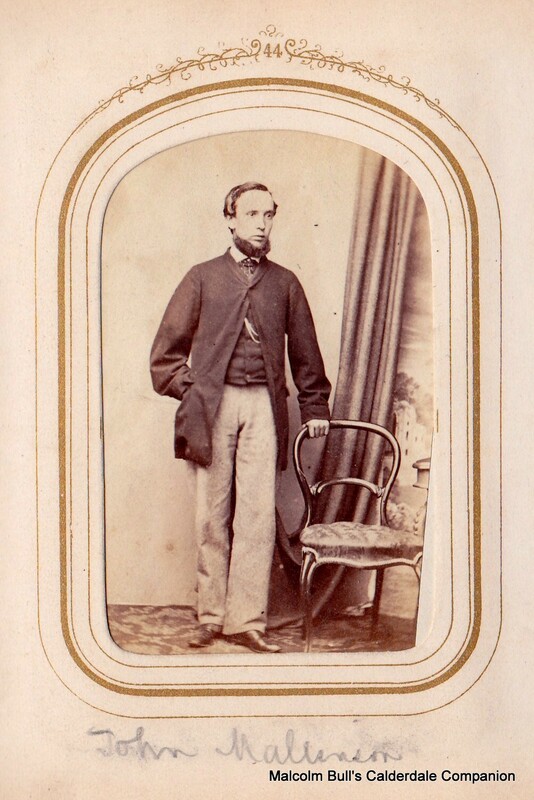 [Ref: DG1667] The name Milner Priestley is associated with this photo. 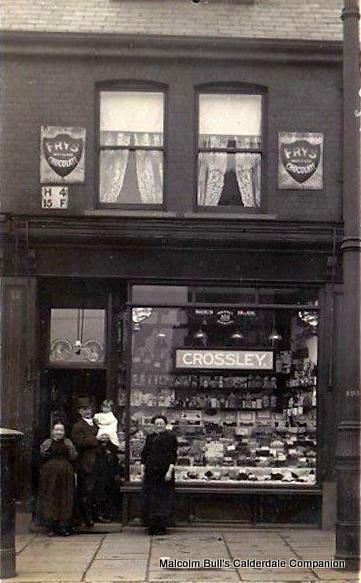 Does anyone how Milner – a brewer – might be connected to this shop / where the shop was? 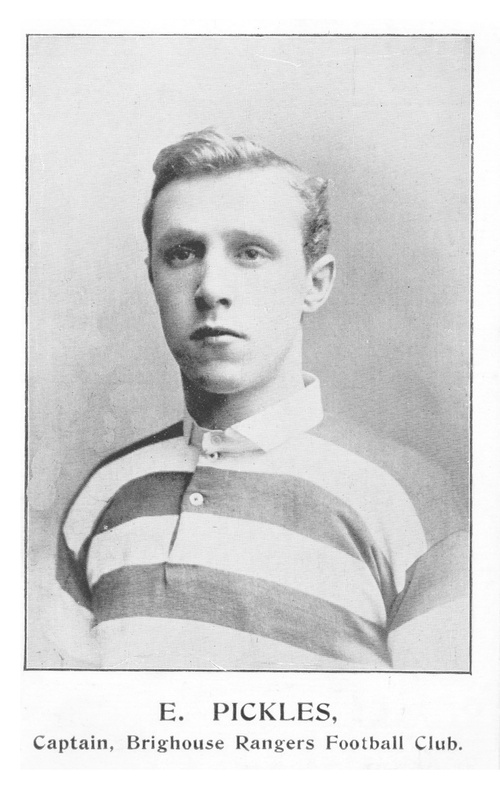 Is it a different Milner Priestley? [Ref: DG1720] St Anne's in the Grove Church, Southowram with an inset photograph. Does anyone know anything about this – or similar – events? Could it be connected to a monument in memory of Captain Cook which was erected in 1878 near to the spot where he was killed on Hawaii? 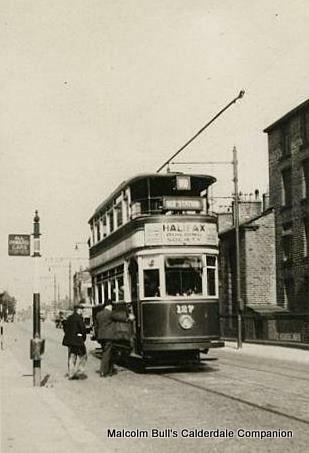 The tram is at King Cross Road heading to Town after passing over Queens Road. 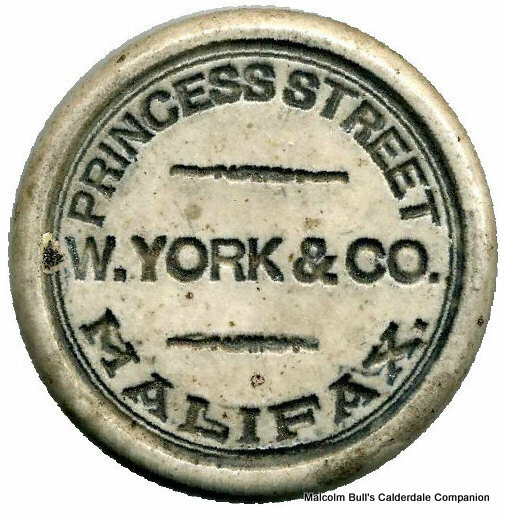 [Ref: DG1829] Can anyone suggest what is happening in this photo which is looking north along Union Street, Halifax? There seems to be a procession on the right, and not just busy shoppers, coming south along Union Street, and another group coming right to left up Horton Street. [Ref: DG1831] Can anyone identify the location? 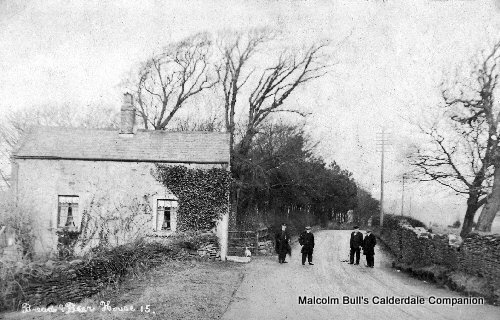 [Ref: DG1855] This photograph is taken somewhere in Luddendenfoot. Does anyone recognise the property? 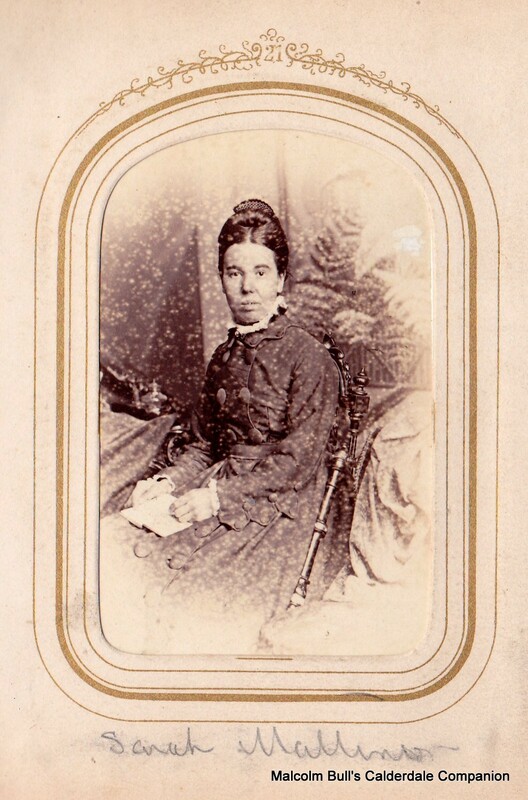 [Ref: DSM26] An unidentified photograph produced by Walter M. Hilton of Bull Green, Halifax. 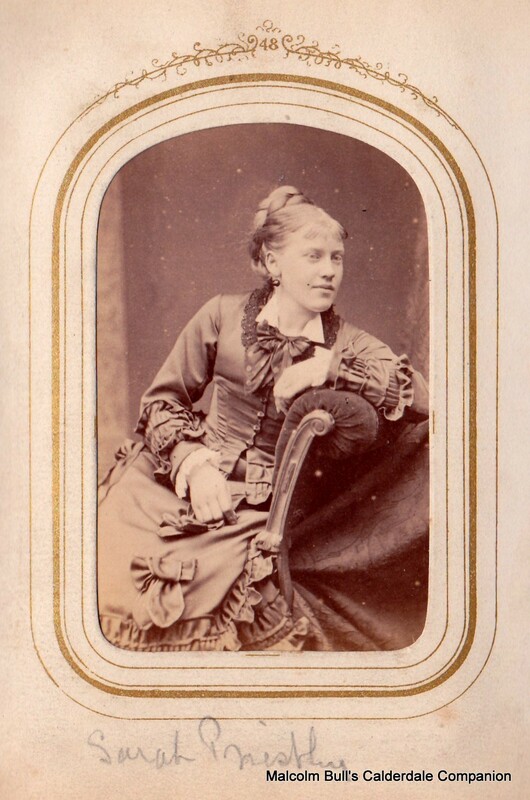 [Ref: DSM31] A photograph by C. W. Greaves & Company. 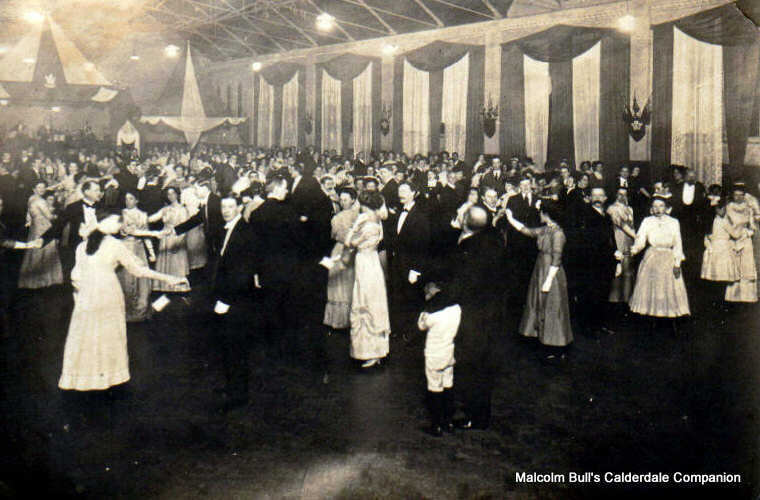 Can anyone identify the dance hall? 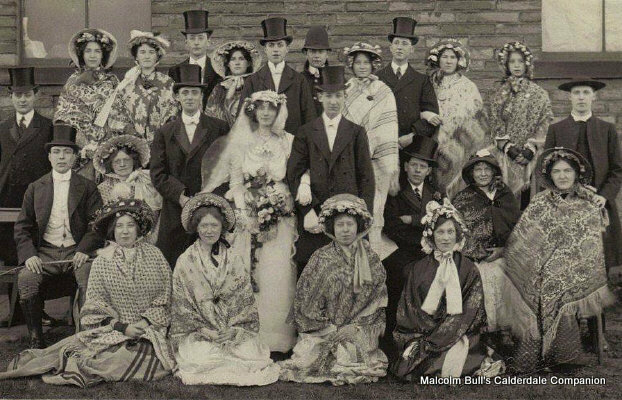 The ladies' dresses would seem to predate the Alexandra Hall of the 1930s. 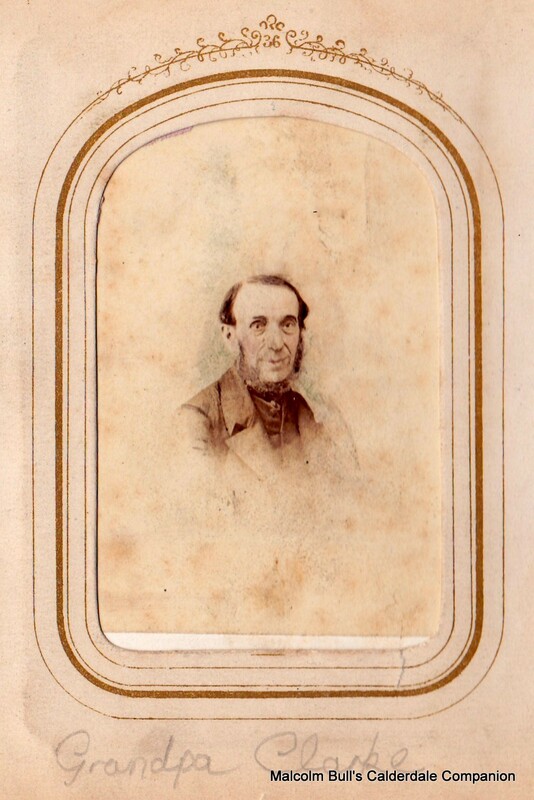 [Ref: DSM32] A photograph by Sanford. 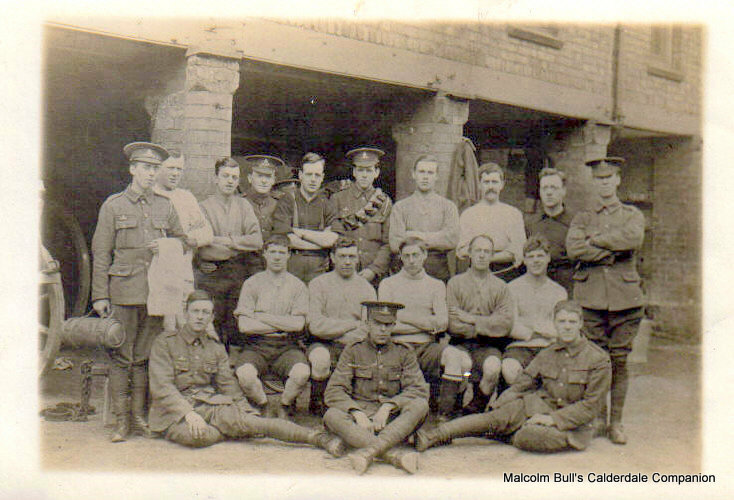 Can anyone identify the soldiers in the photograph, or the occasion? [Ref: DSM33] Can anyone confirm that this is the stone-laying ceremony for a church in Halifax? ... or the name of the church? 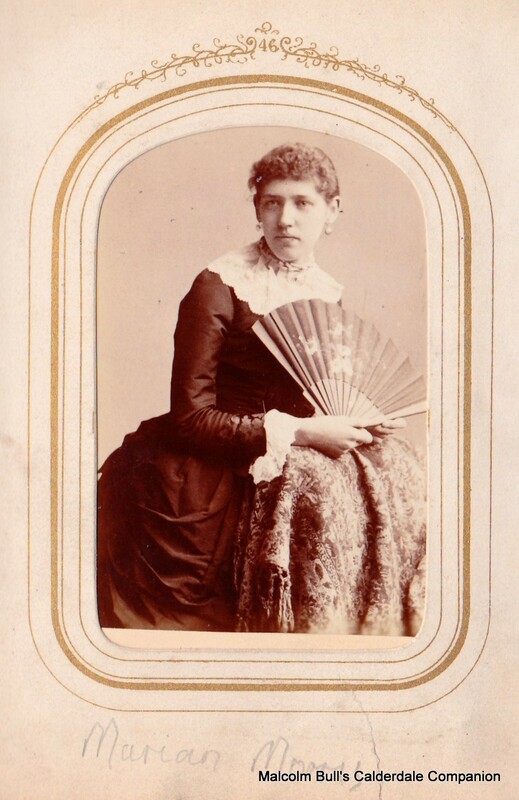 [Ref: DSM35] A photograph by Francis E. Jackson. Can anyone identify the church? ... or the young girl? [Ref: EH2] A group of men at an unidentified location. 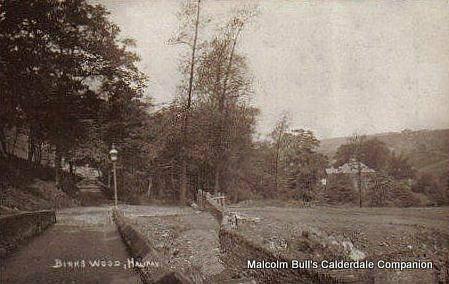 It is possible that the photo was taken at Bank Top, Southowram with the Bethesda Primitive Methodist Chapel in the background. Could the men have been the workers who were involved with the lowering of the road at Bank Top in preparation for the tram service on Route Number 7 which was extended to Bank Top in 1901? 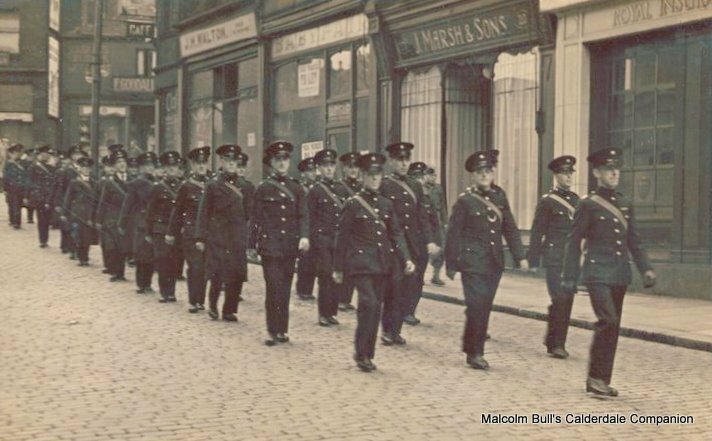 [Ref: GY256] A group of men marching down Silver Street from Cow Green. [Ref: MB1150] The staff of Heath Grammar School . Please email me if you can identify any of these gentlemen. [Ref: MH207] Can you identify this house or the location? [Ref: PH1] Where and when was the photograph taken? It may be Brighouse. Why are the men (and the boy in the garden) wearing masks? Chris Hunsicker suggests that the photograph may have been taken during the Influenza Pandemic of 1918-1919 which killed around 30 million people.